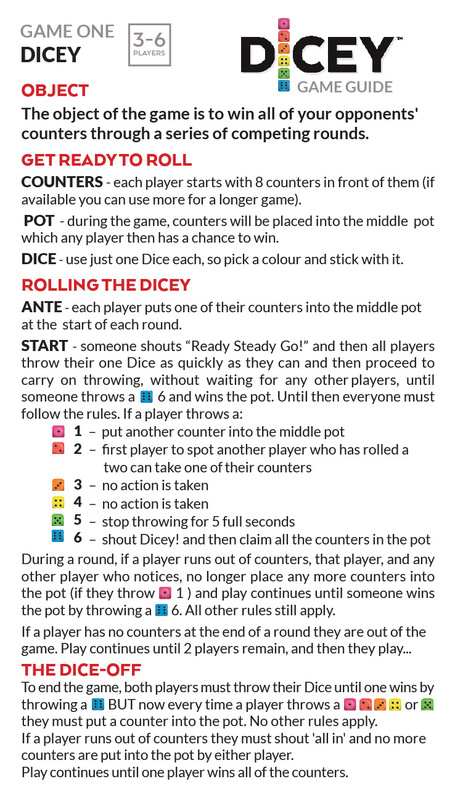 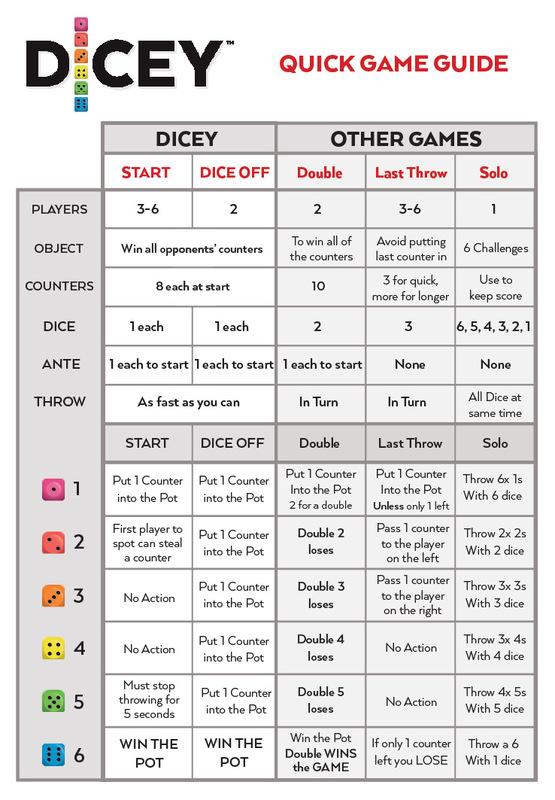 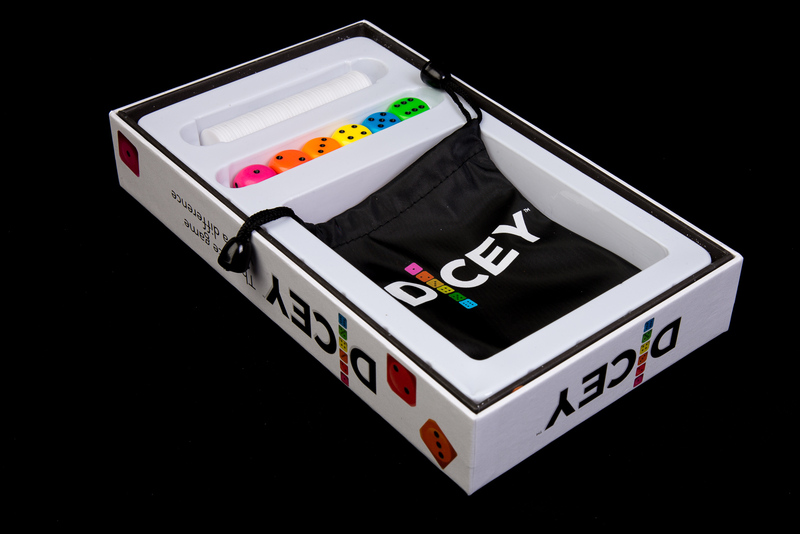 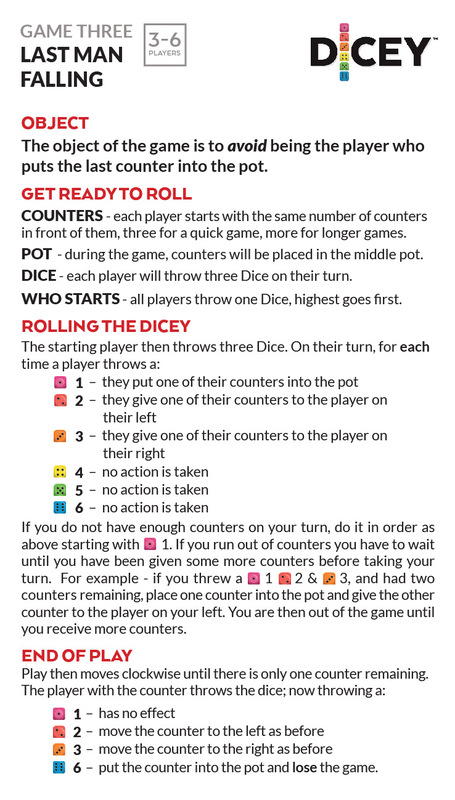 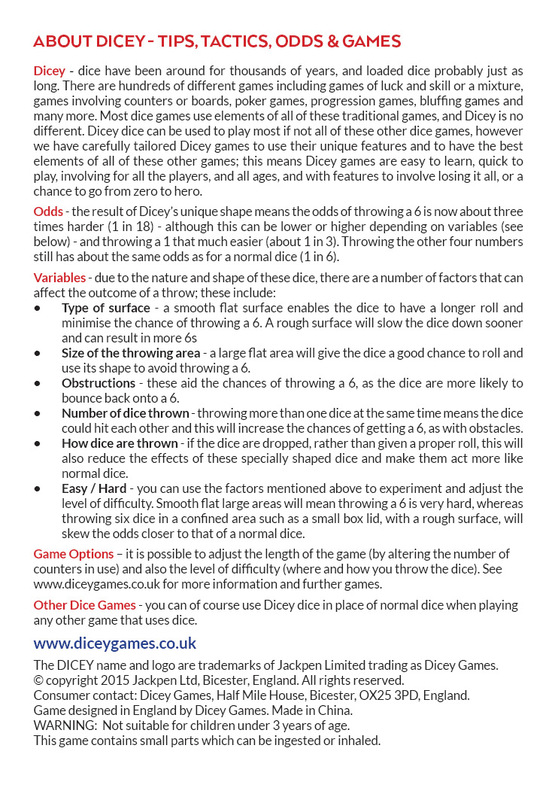 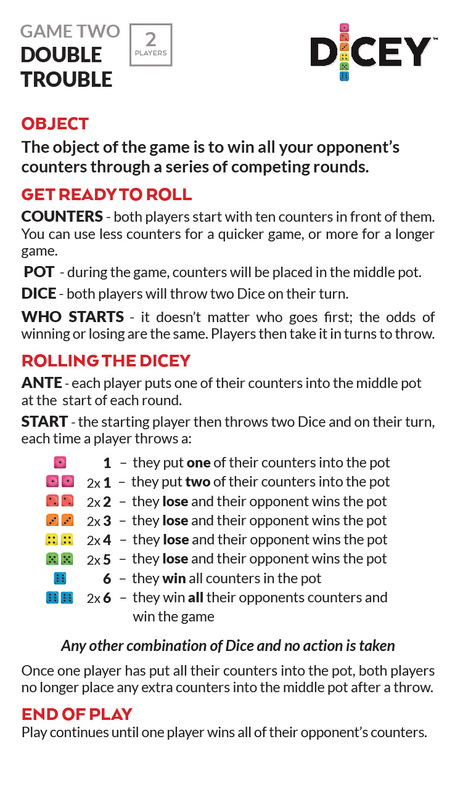 Dicey is a new demon dice game, with a unique feature. 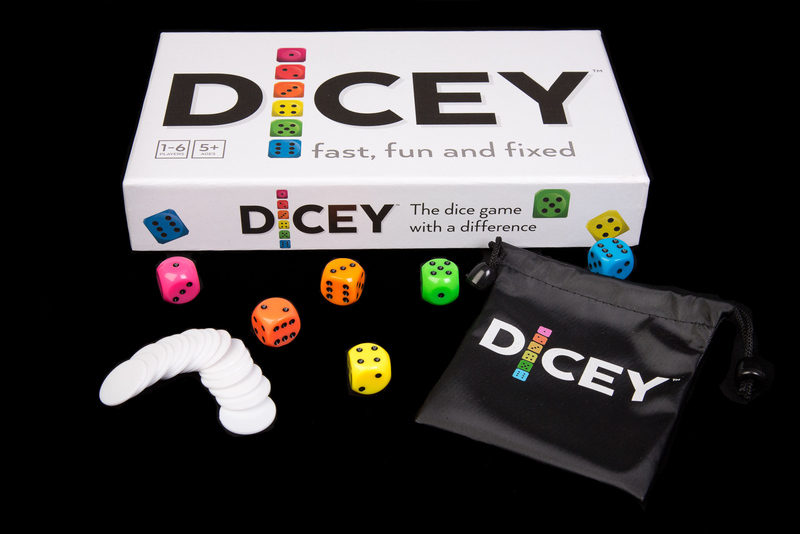 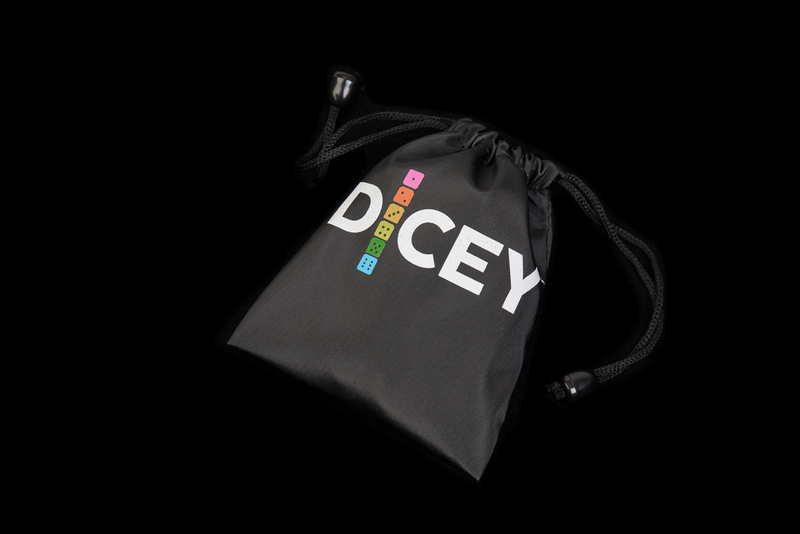 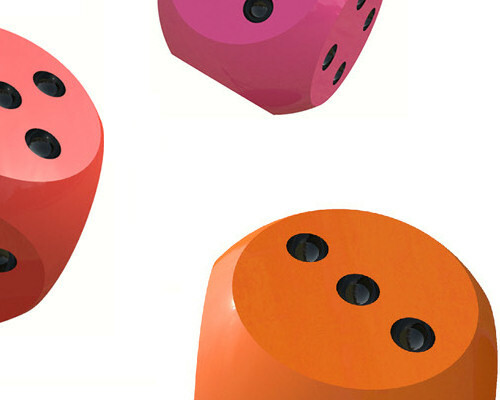 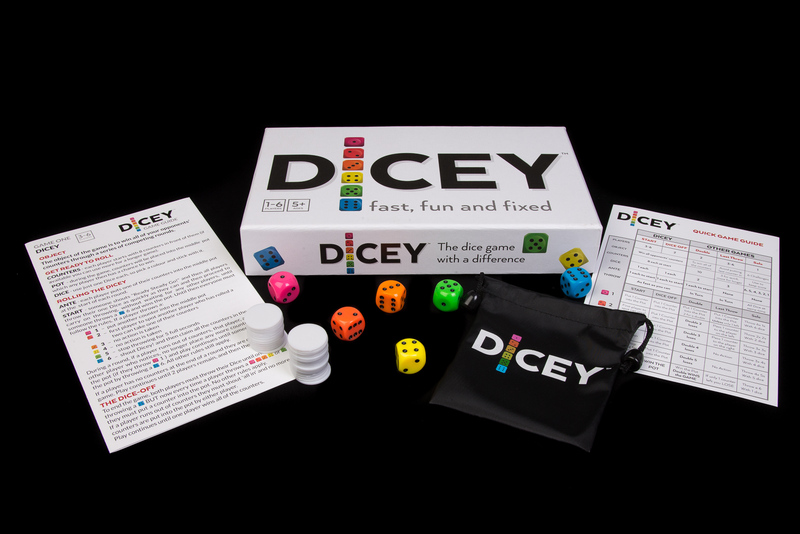 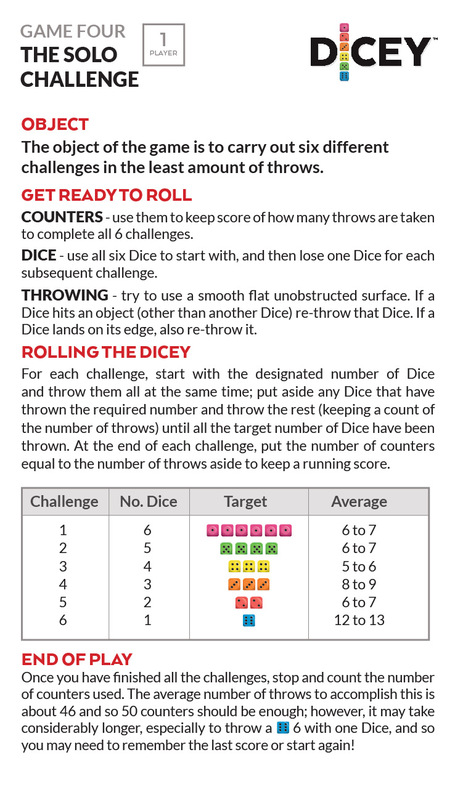 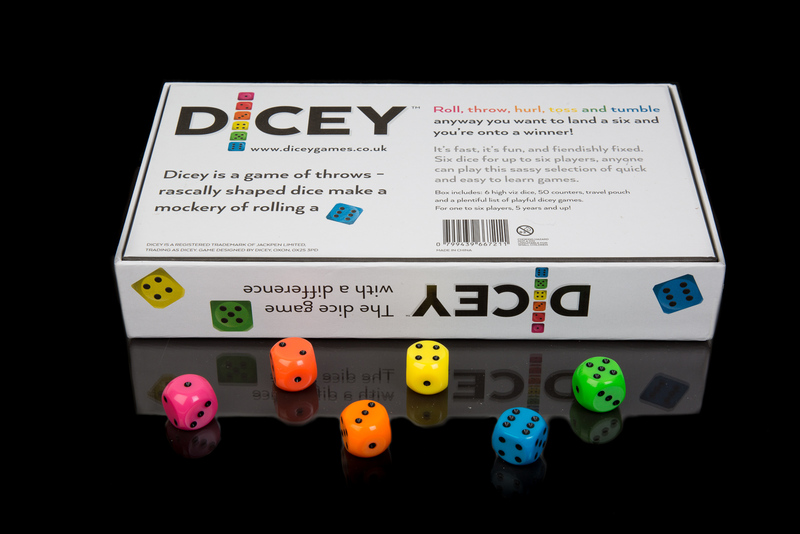 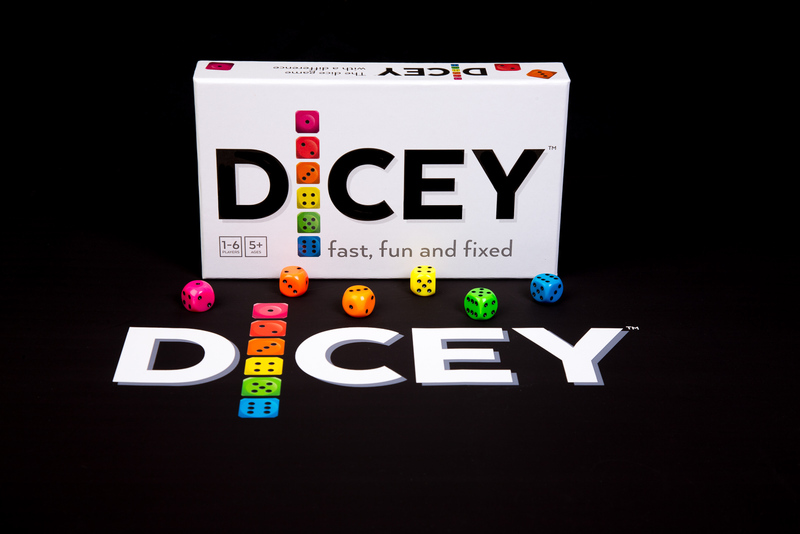 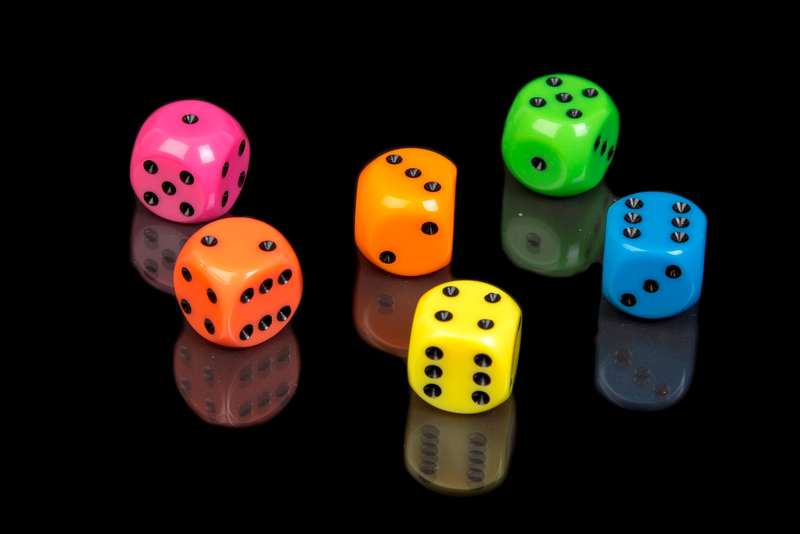 Rascally shaped dice make a mockery of throwing a six in this fast, fun and furiously tricky game of chance! 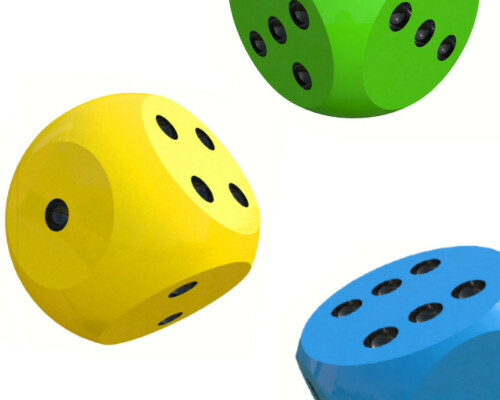 anyway you want to land a six and you're on to a winner!